We offer a range of Schwarzkopf shampoo and conditioning products for blonde hair and coloured hair. 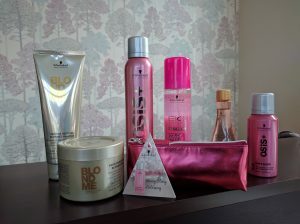 We also offer a styling range in-store; mousse, hairspray and thickening sprays. Why not pop in to see us and browse the range.